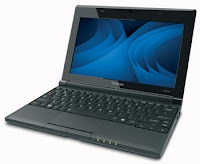 Toshiba NB505-N508BL Netbook - review, specification, prices. 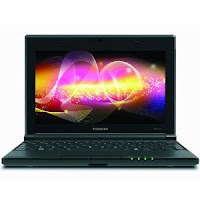 Toshiba NB505-N508BL Netbook is a perfect device for your everyday computing needs. 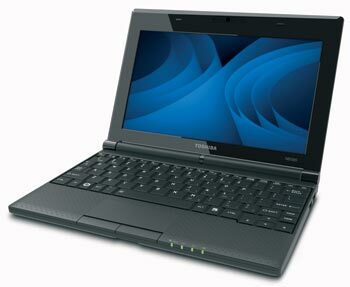 This netbook is one of the thinnest netbooks on the market. How thin is it? Well it’s just 1.4 inch thin and weighs less than 3 pounds, plus it features 10.1 inch LED backlit display make you easy to carry this device wherever you go. The Toshiba NB505-N508BL Netbook also features the Intel Atom Processor for a good computer processing, the 250 GB of hard disk drive which is protected using an integrated 3D impact sensor which detects freefalls, shocks and vibrations, 1 GB of DDR3 RAM, a full size keyboard for comfortable typing, and a larger touchpad with Multi Touch control, an integrated webcam, and a mono speaker. This Toshiba NB505-N508BL Netbook comes pre-installed with the Microsoft Windows 7 Starter operating system (32-bit version). Included Toshiba Software: Toshiba Media Controller, Toshiba Bulletin Board, Toshiba ReelTime. 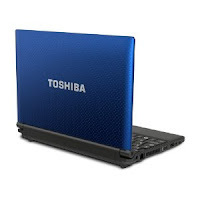 Related Posts to "Toshiba NB505-N508BL Netbook"
5 Comments to "Toshiba NB505-N508BL Netbook"
Please comment to Toshiba NB505-N508BL Netbook - Laptop and notebook reviews Toshiba NB505-N508BL Netbook, review, specification, and price. Please don't spam.